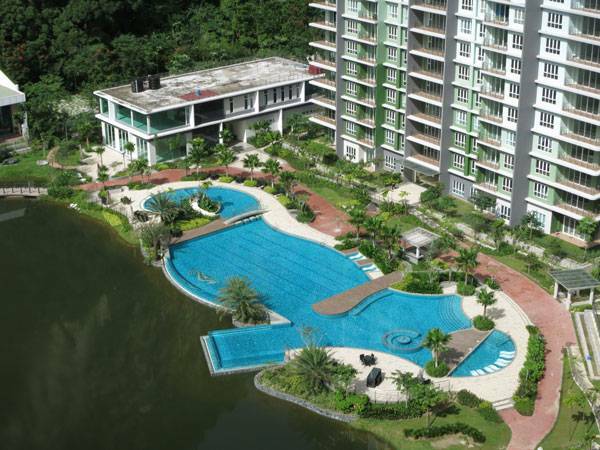 Is The Haven Lakeside Residences The Best of Both Worlds? 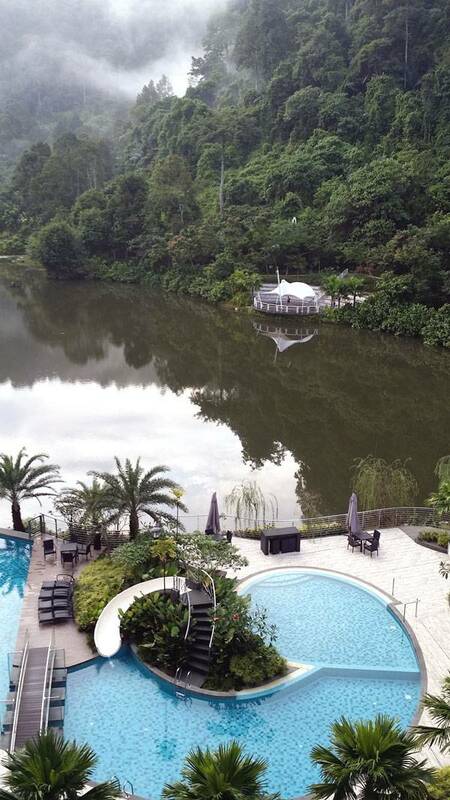 Article by Elisa A.M. Varetti The Haven Lakeside Residences, by Malik Lip & Associates Sdn Bhd, in Malaysia Have you ever stopped to wonder about living in close contact with nature? Everyone loves to dream about quitting everything, going away, and living on a deserted island or, more simply, far from the daily routine. But we all know most of us will never leave our comfortable houses and the modern conveniences we are used to. Deserted places are not so attractive, after all, and there are always trips and holidays to help us keep our bond with the natural world. 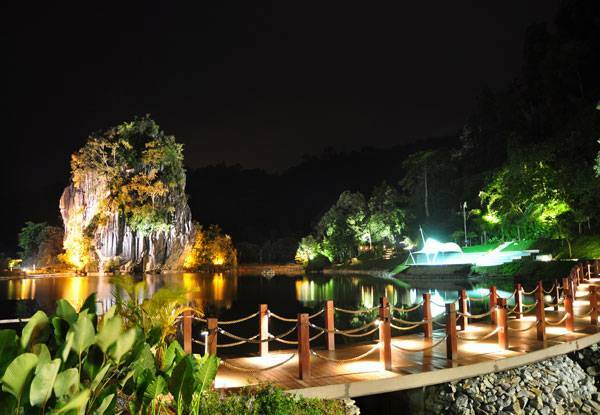 But some of us can have the best of both worlds, as this project in Malaysia shows. 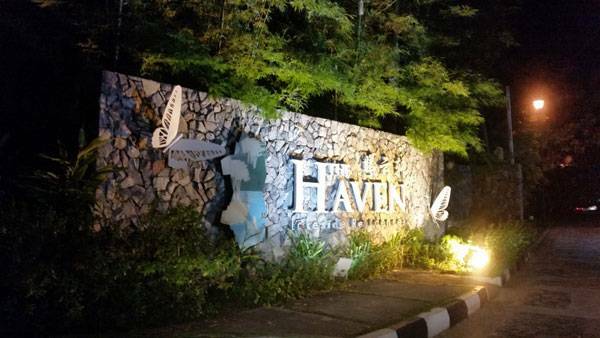 The Haven is an urban development of almost 13.6 acres, including a natural, four-acre lake, located near the Lost World of Tambun Water Theme Park and the Banjaran Hotsprings Retreat in Tambun. Its clever position near the main road system makes it easily accessible. And it’s within a stone’s throw of the area’s main facilities, including a giant supermarket (2 km), the highway (5 km), the hospital (6 km), and the airport (11 km). 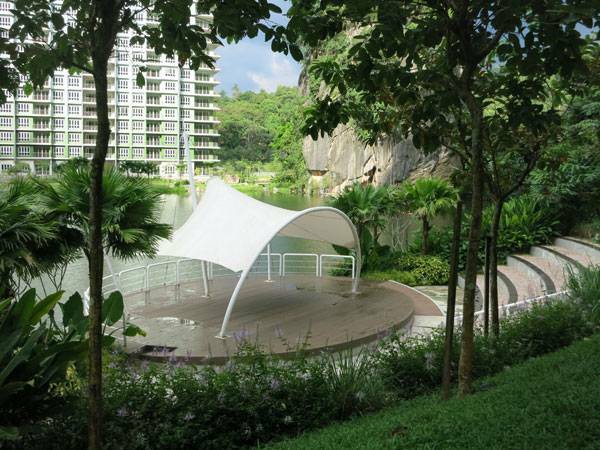 The Haven Lakeside Residences. 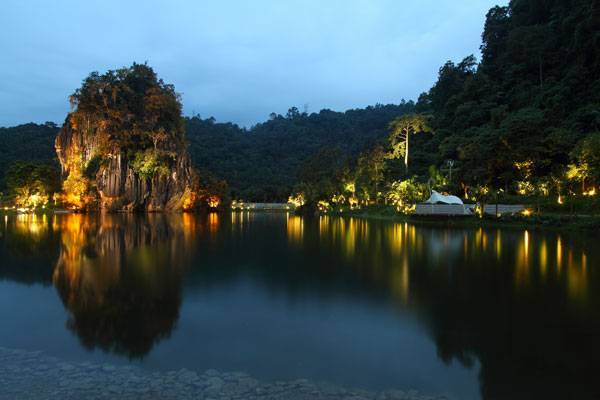 Image courtesy of Malik Lip & Associates Sdn Bhd. “Back to Nature” Concept Design The Haven’s concept design can be summed up in a few words: 5-level security + 5-star facilities + “Back to nature”. The “Back to nature” landscape design aims to preserve nature and to use renewable sources of energy. In effect, it blends well with the existing natural flora and fauna and achieves the right balance between the surrounding environment and the extension of existing nature by using the same species found in the forest. The 5-level security + 5-star facilities are easily explained by the desingers: “To compliment the peace and tranquility offered by nature, multi-layered security is provided with two different sets of guards. 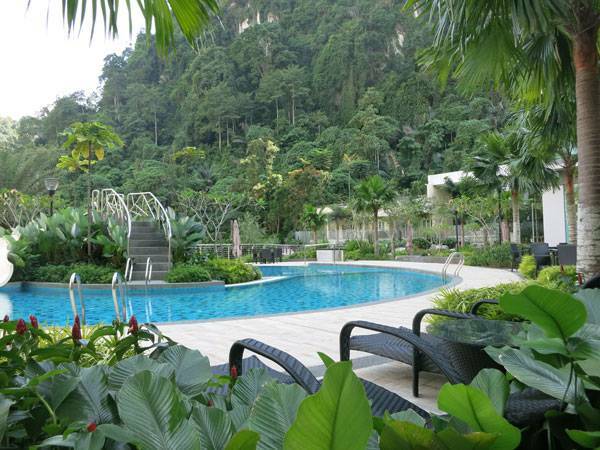 … Specially landscaped waterway, private gardens, jogging track and dense planting are some of the features that are also to be provided in this esteemed development.” A Careful Selection of Vegetation Species One of the most interesting things about this project is its close contact with nature. And that must not be underestimated. 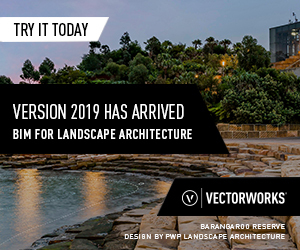 The designers have had the difficult task of linking their project to the existing environment, with all its vegetation system, including species such as Alpinia purpurata, Clitoria alba, Dillenia suffruticosa, Etlingeria elatior, and Donax grandis. The Haven presents some green areas that are each characterized by different tree species. In the case of the rain forest, you can find Alstonia scholaris, Azadirachta indica, Barringtonia edulis, Ficus lyrata, and others. 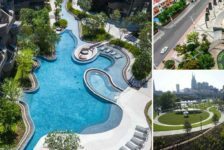 In the open spaces, such as the outdoor areas that are closer to the buildings, you can find Salix babylonica, Dyera costulata, Casalpinia ferrea, Gardenia carinata, and much more. The same goes for the shrubs, which include Costus woodsonii, Philodendrum seolloum, Murraya pani culata, and so on. Sustainability Techniques According to the firm’s philosophy and its attention to natural system balances, The Haven has been designed by following some sustainable techniques that have made it one of the first developments in Malaysia to harvest all renewable energy resources. “It will strive to conserve water through rainwater harvesting and to reduce our carbon footprint by harnessing the renewable energy of wind and sun,” the designers say. The designers also decided to use natural materials such as wood for some of the paths (especially on the boardwalk crossing the lake), stone (for some paths), and natural stone recycled from the site (for the signage wall and other signages). A Place Between Two Worlds Thanks to its many comfort zones and facilities, The Haven can probably be considered one of the few places in the world where people can live beside a natural virgin forest and yet be in the city at the same time. 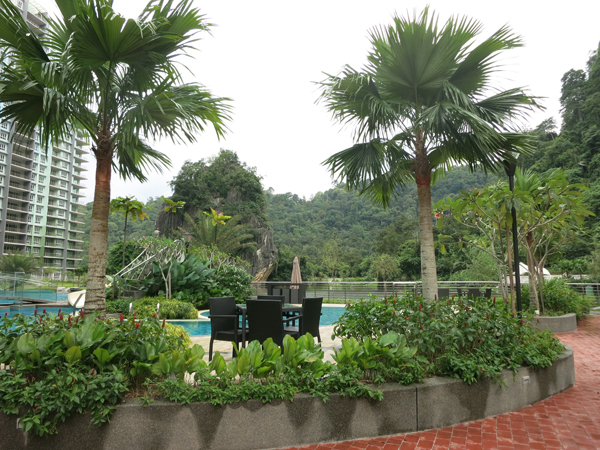 Here, both visitors and residents can experience silence and the relaxing sounds of the Kinta Valley and still be a few minutes from the modern world. They can forget that they are so close to the outside world, yet return to it whenever they need to. 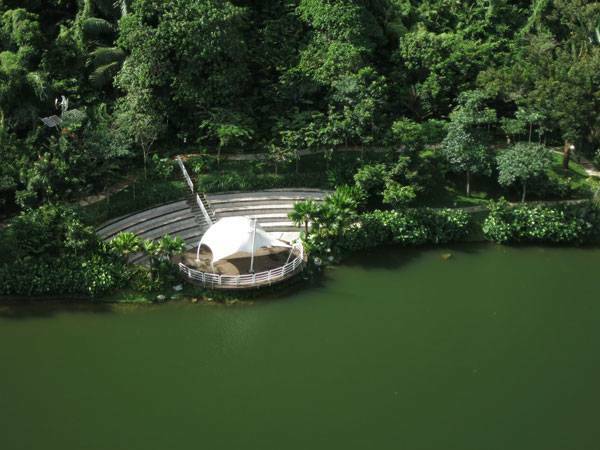 On site, they can find an amphitheater and a swimming pool, both designed to follow the existing elements of the surrounding environment (natural lake borders, slopes, vegetation); pedestrian walkways; a yoga area; a meditation point a kick-about area; the jungle walkway around the lake and a boardwalk crossing it; playgrounds; and barbecue areas. 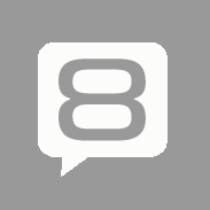 Latest Developments in Asia Asia is not new to these kind of developments, as our writers have reported in some of our latest articles. These include the Baan Dam in Bangkok, about which you can learn more in Kevin Pfeiffer’s article Stunning Green Wall Sets The Scene in This Luxury Hotel Garden. 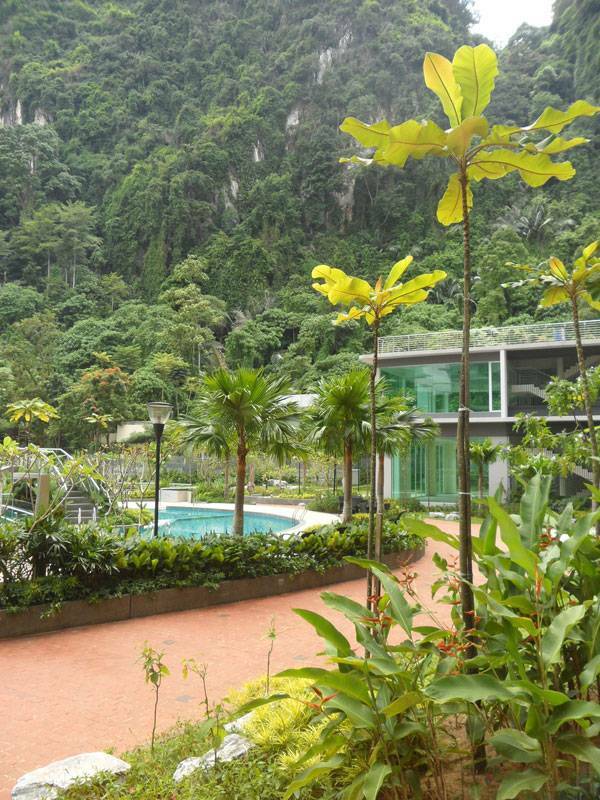 Or read about a hotel garden in Thailandia, described in Tania Ramos Gianone’s article, Residents Get Luxurious Garden and Pool Project in Thailand. Or again, in our writer Julia Lucchese’s report on a Tourist Resort in Bali, Shining Example of Tourist Resort in Bali Invigorates the Senses. 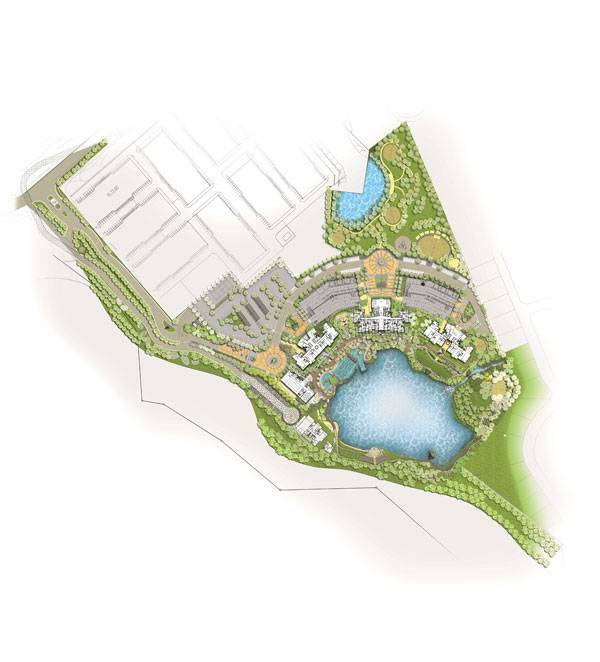 The Haven Lakeside Residences, with its clever position close to the main road system and yet perfectly inserted into the surrounding virgin natural forest, is a concept design focused on keeping a tight bond with nature. The designer’s attention to sustainability techniques and vegetation species assures its place among Asia’s latest remarkable developments. 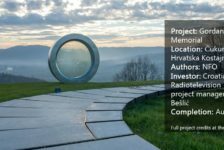 Are you a LEED GA and looking for project experience? 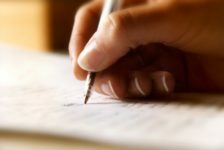 Sure, I Can Write: Landscape Writing!